Former Chandler schoolteacher Olive Goodykoontz was born in Grant County, Indiana on March 17, 1906 to Von Goodykoontz and Myrtle Davis. She was raised alongside two younger brothers, Harold and Kent, and the family's boarder, Mildred, who also went by the name Goodykoontz. In 1926, the Goodykoontz family moved to Arizona because it was considered a "cure" for at the time and Harold had developed respiratory problems. They sold their farm in the Liberty Township and drove the entire way to Arizona, stopping to visit various relatives along the way. The family did not have jobs or a home waiting for them when they arrived in Arizona so they settled in a temporary camp in Mesa while they looked for their new start. Von and the two boys sought temporary work at places like the State Fair grounds while the family looked for a new farm. Olive had attended the Fairmount Academy back in Indiana for post-secondary school. She looked for teaching work in Chandler but was informed that she needed more training in order to be certified as a teacher in Arizona. Having arrived too late in the valley to attend the 1926 academic term, Olive got a job working the salad bar at the San Marcos Hotel while she waited to enroll. The next school term, she attended the Tempe State Teachers College where she finished her certification training. By the time she graduated, Olive's family had settled on a new farm in Chandler. Olive was originally offered a teaching job in Goodyear, but when an offer came in to teach in Chandler instead she accepted it. She continued to teach in the Chandler school district off and on throughout the rest of her life. She taught various grades in the elementary and high school levels as well as the occasional music class. She also supervised the baseball team's away games, serving as chaperone on their trips. In February of 1929 Olive and five of her friends formed a new women's club called The Vagabonds. Olive spent many summers with family in Pasadena and Los Angeles, California beginning in the summer of 1929. In the late 1930s she began spending part of her summers as a relief worker with the American Friends Service Committee.She was assigned to a Quaker work camp in the Kentucky/Tennessee backwoods where her group did things like rehab an old schoolhouse for the local children. She began as a regular worker but in her last year on assignment served as the camp's co-director. Immediately after World War II, relief workers were desperately needed in Europe. Originally, Olive had planned to go work in Mexico like her mother had before her, but the AFSC requested she go to Germany instead and so she went. Olive was initially unsure of herself and overwhelmed when, during her first term of service, she was made section leader. However, she quickly warmed to her work in Europe and to life in Germany among other relief workers. She would spend as much time as she could in Germany throughout her life, although she often returned home for holidays, domestic AFSC work, or to help with ailing family members. 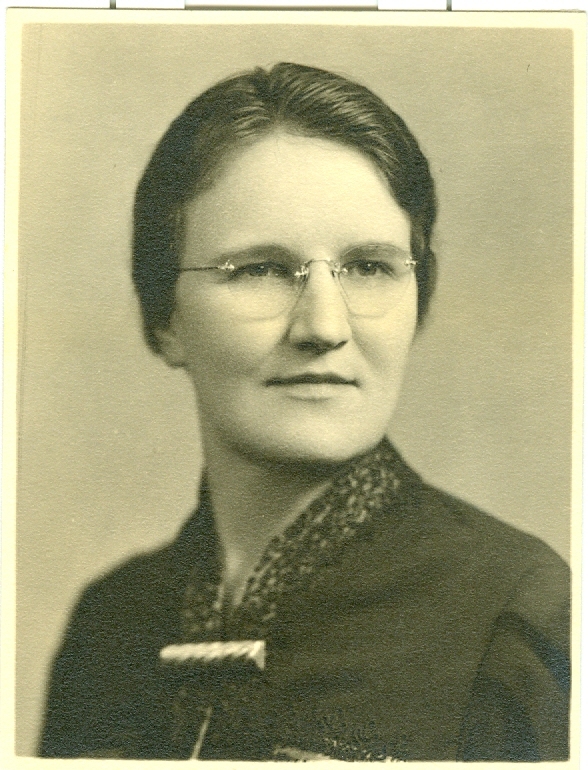 Olive's work for the AFSC in the U.S. included going on regular tours as an International Studies lecturer and working in the head office in Philadelphia. For a rural farm girl who had intended to settle down as soon as possible, she ended up being constantly on the move, a state of affairs that she particularly enjoyed. Much of the information on Olive comes from her own writings. Olive kept a journal every day of her life from her teens into old age, spanning the 1920s to the 1970s. To read a brief biography of Olive written by April Boggs, the museum's Volunteer Museum Division Associate and Curator of the Olive Goodykoontz Collection, CLICK HERE. This brief, partial biography is based on April's research and trascriptions of the personal journals of Olive Goodykoontz.